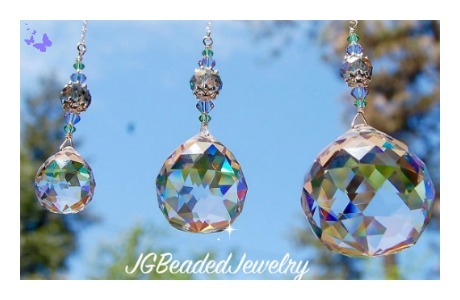 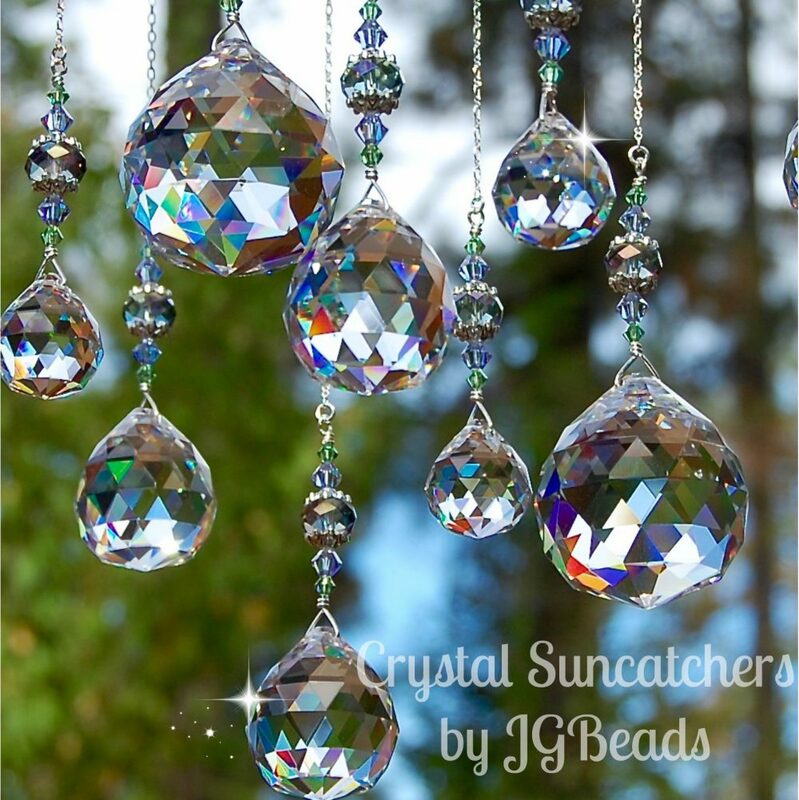 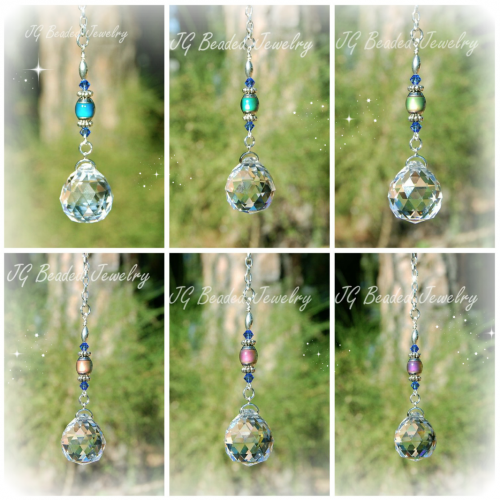 These hanging crystal prisms will bring sparkle to your vehicle, home or office! 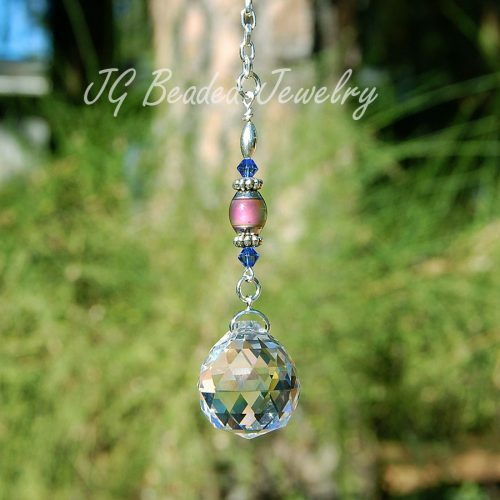 The hanging crystal prism is wire wrapped by hand with sturdy silver wire for strength and attention to detail. 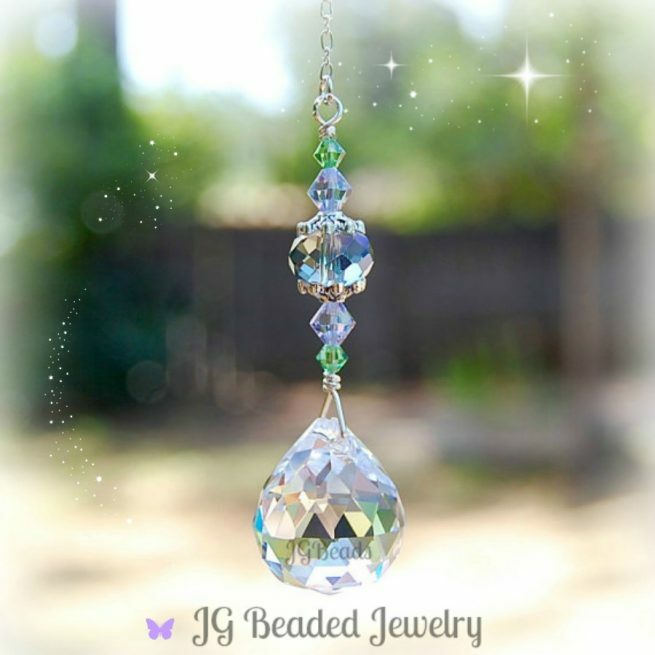 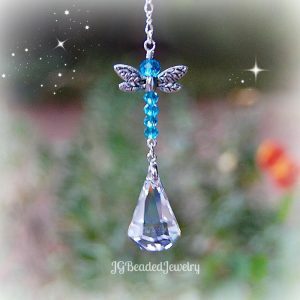 It is embellished with gorgeous peridot (green) and lavender (purple) Swarovski crystals, fancy silver bead caps and a gray faceted crystal that has purple hues. 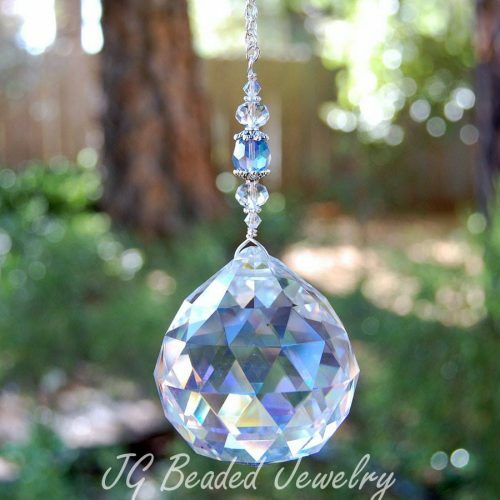 Swarovski is known worldwide for quality, precision cut, and flawless crystals – they are the best of the best! 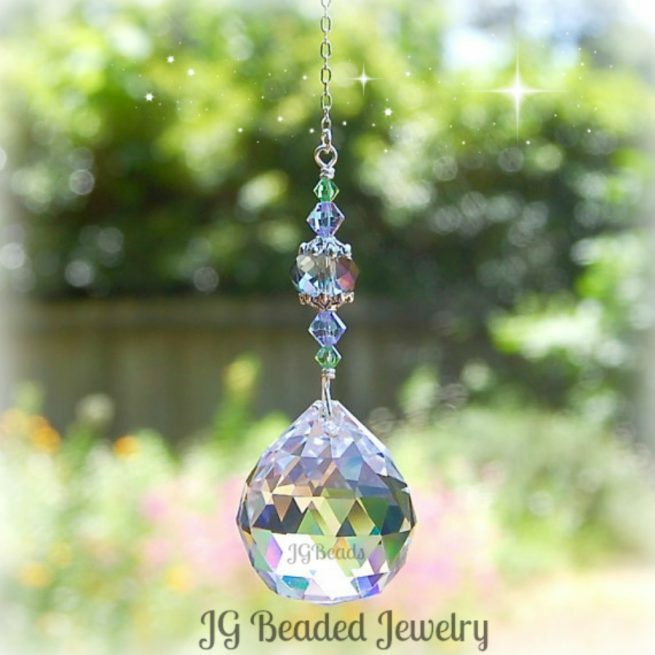 3) 40mm (1.75 inches wide) – NOT recommended for the REARVIEW MIRROR due to the size and weight. 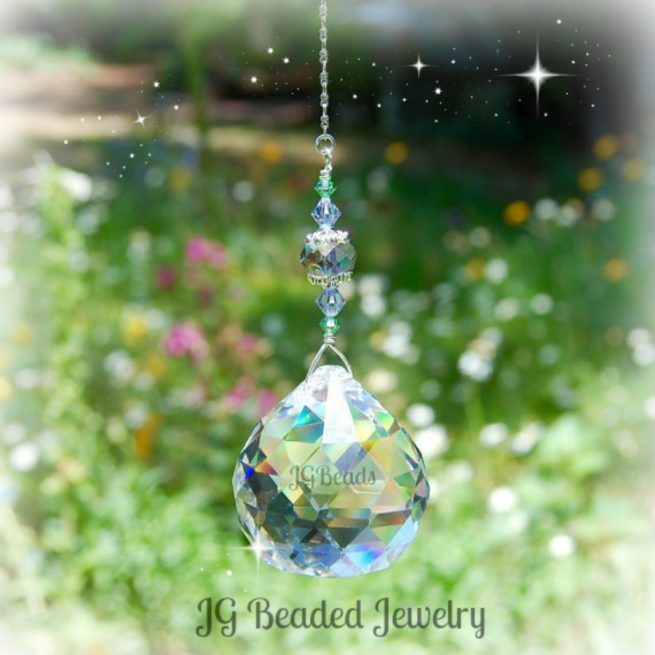 ♥ Please visit JG Beaded Jewelry on Facebook for new items, special offers and giveaways!